Your home is a big investment that shelters you and your family, so you want to make sure it’s safe and ready for severe weather. This can be especially tricky if you live in an area with a high frequency of storms. While you may not be able to control the weather, there are a number of things you can do to effectively prepare your home for a hurricane. If your home does become damaged in a storm, you need to check that your insurance is going to be able to cover the cost of repairs. Additionally, if your home is completely lost in a storm, you need to be certain it will cover the cost of an entire rebuild. The cost to build is always on the rise, so it’s important to keep that in mind. Flooding also often comes with large storms, so make sure that flood insurance is part of your policy. It’s important to take inventory of all of the things in your home and determine their worth. You should also evaluate what your insurance policy does and does not cover so you can add additional coverage if necessary. Checking the seals on your windows and doors is an important step in preparing your home for a hurricane. Over time, the seals can deteriorate due to the weather. Storm shutters are a good thing to invest in to prepare your home for a hurricane. Keep them in an accessible place so that you can install them quickly if a hurricane is coming. It’s important to check outbuildings and porches to make sure they are properly anchored into the ground when preparing your home for a hurricane. If they are not, they could fly away and rip into your home in the process. Your roof is by far the most important thing to keep secure during a hurricane. Water and wind damage to your roof can cause serious damage throughout your home. Regularly inspect your roof, or have a professional inspect it for you if you are not comfortable climbing on your roof and don’t know what to look for. If you find you need to replace your roof altogether, you may want to consider sealing it with waterproof materials. Flying objects that are coming from your yard could hit your home and cause damage. Before a storm, you should anchor outdoor furniture and other objects or put them inside until the storm has passed. This will prevent them from being damaged or causing damage to your home. A home inspector who specializes in performing wind mitigation inspections should be hired before hurricane season to prepare your home for a hurricane. They can assess features already in place and advise on how to best prepare your home to reduce the damage when a strong storm rolls in. By taking wind mitigation steps, you’ll likely be able to gain credits towards your homeowners’ insurance. 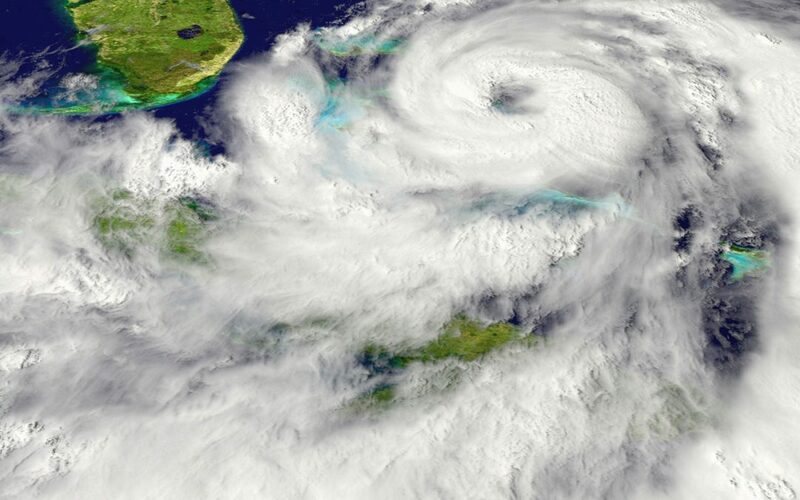 Preparing your home for a hurricane is an ongoing process. If you live in an area that often experiences tropical storms and hurricanes, you will have peace of mind knowing that you have taken the steps to prevent damage. Coast to Coast Property Inspections serves South Florida with wind mitigation inspections and other inspection services. Contact us to book your appointment.